Caraway and fennel team up well in teas blend to ease stomach distress caused by gas and bloating. Chamomile and peppermint calm spasms and add flavor to make the classic Four Winds Tea a family favorite. 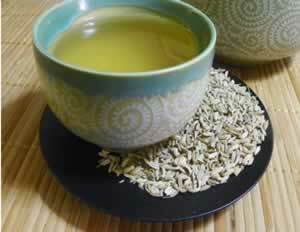 Recipe Instructions: Herbal Tea : Mix the seeds in equal parts. Crushing the seeds makes it easier to extract the active principles. You can do this ahead of time and store a few weeks worth of the crushed seed mixture in a tightly sealed glass jar without losing much in the way of efficacy. 1 to 2 teaspoons herbs to a cup of water, leave to infuse for 10 to 20 minutes and drink 1 cup after the evening meal. Unsweetened tea works best for stomach problems. For sweet tea use stevia instead of sugar or honey if you are nauseous or have heartburn.